In 2006, I joined Millie’s group. Millie led me to discover the beautiful world of nano. 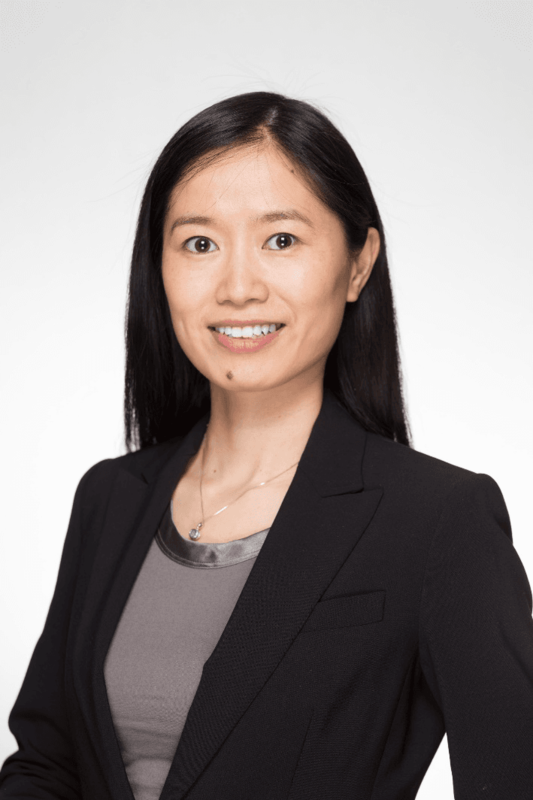 She encouraged and supported me endlessly to pursue my academic dreams. The above figure shows our graphene edge study using in situ transmission electron microscope (Science 2009). After finishing my PhD study in 2011, Millie suggested I gain my postdoctoral research experience in a different field — multimaterial fibers — with Prof. Yoel Fink. The above figure shows our multimaterials fibers used for neural stimulation and recording (Nature Biotech 2015). 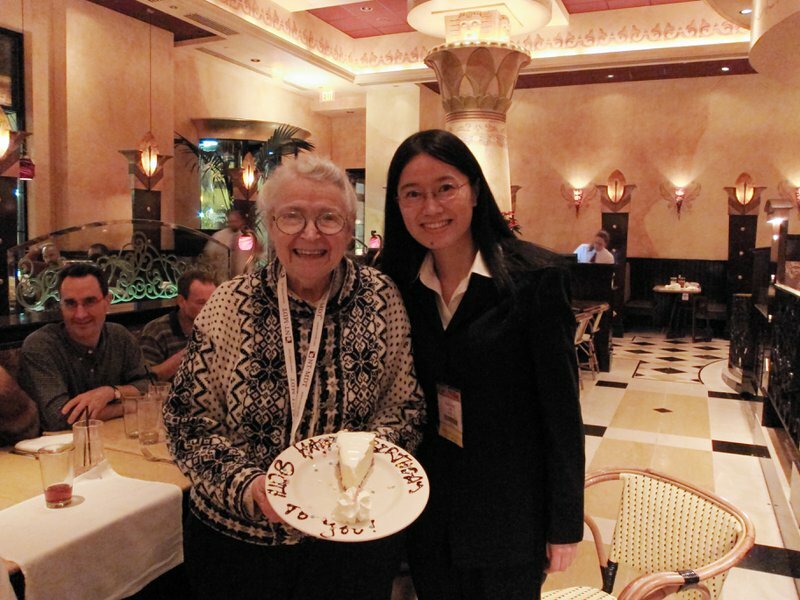 In 2015, while I was discussing with Millie about starting my own career, Millie was fascinated about the field of nano with neurons. The above figure shows our carbon nanofibers used for scalable, high resolution neural recording (ACS Nano 2017). MRS dinner celebrating Millie’s 80th birthday (2010). 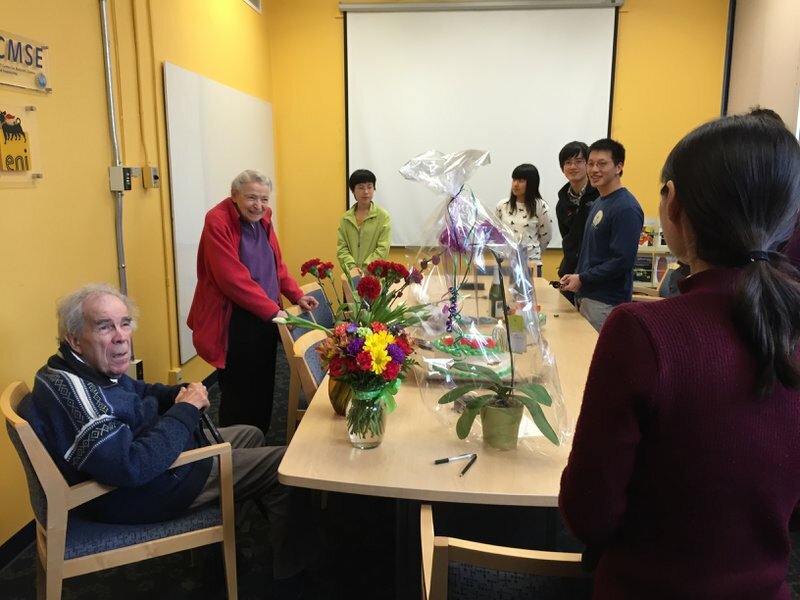 Group meeting celebrating Millie’s 80th birthday. Millie was cheerfully conducting the birthday song (2010). 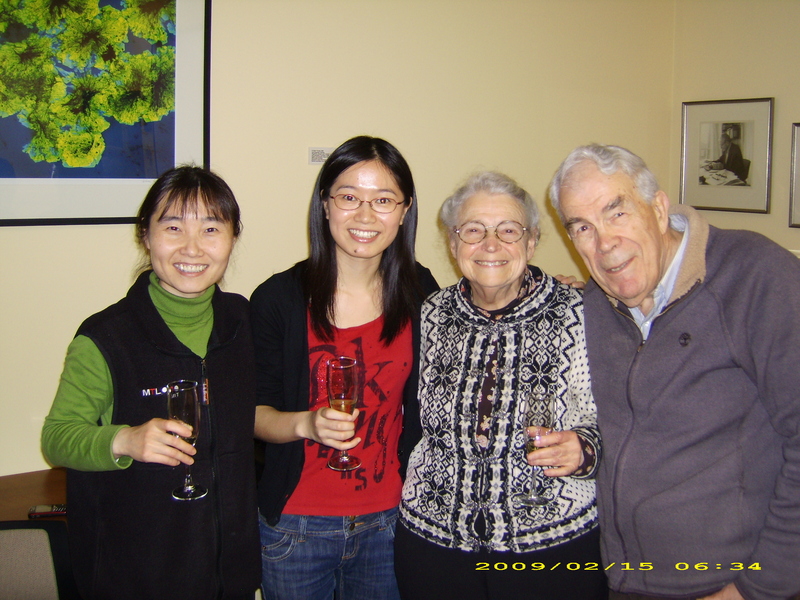 Millie, Gene, Jing and I after my PhD preliminary defense (2010). 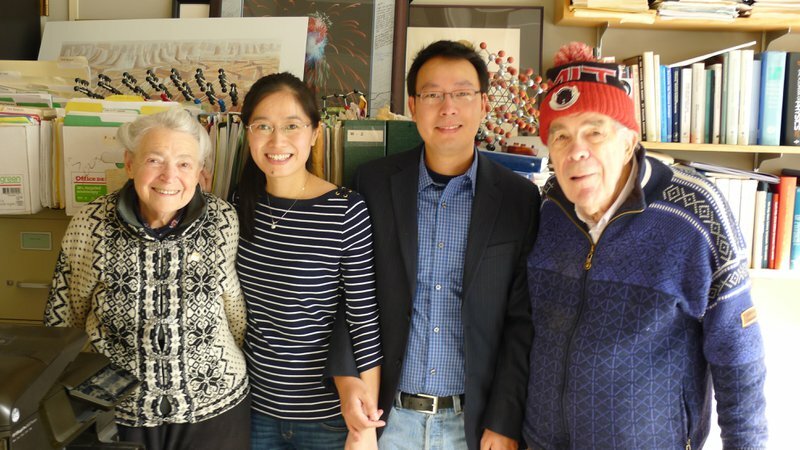 Pengfei and I met with Millie and Gene before our marriage (2014). 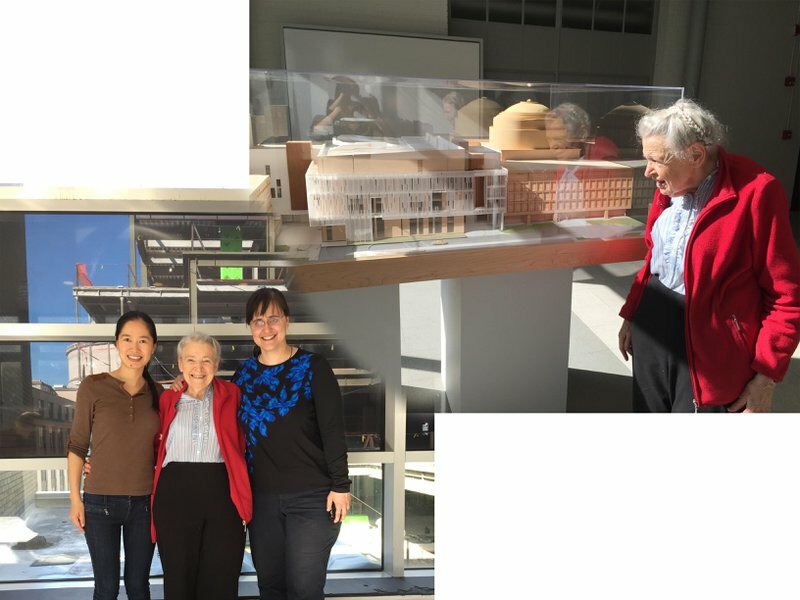 In July 2016, Millie gave Palma and me a tour of the MIT.nano building, which was under construction. 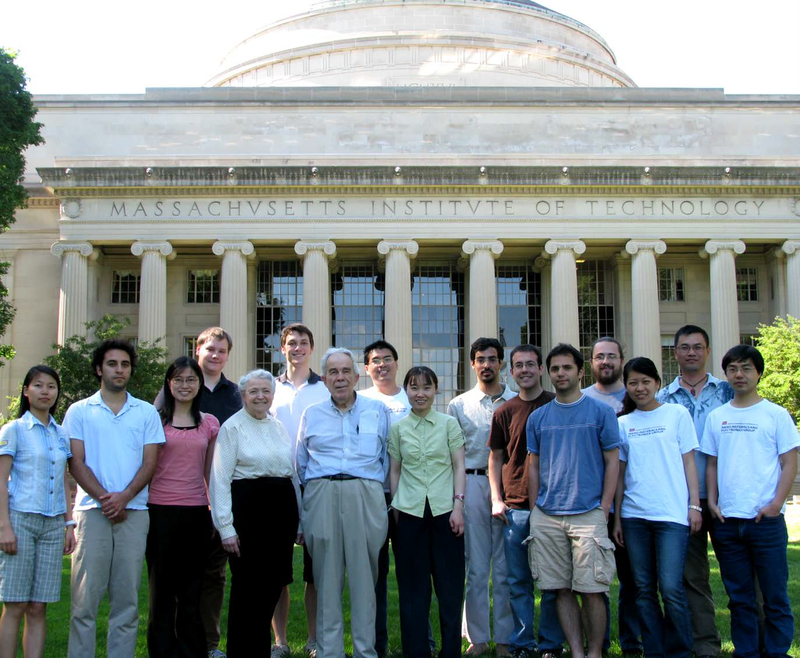 She very much looked forward to having top class equipment and technical staff in place inside the nanobuilding, expediting nanoresearch at MIT and beyond.